Dosing in a precise manner the ingredients in the milk, estimating the time of ripening for the cheeses, assimilating the peculiar differences between Sardinian and Tuscan sheep-breeding, identifying the best time for picking olives, cherishing and handing down the ancient secrets necessary in order to obtain unique flavours and scents, are the essential elements that have been characterizing for some years the organic productions of Fattoria Lischeto, in Alta Val di Cecina, on the hills near Volterra (Pistoia). This is a little oasis of excellence in the world of dairy products, oil, and farm holiday reception, characterized by a yearly turnover of 2 billion euros. 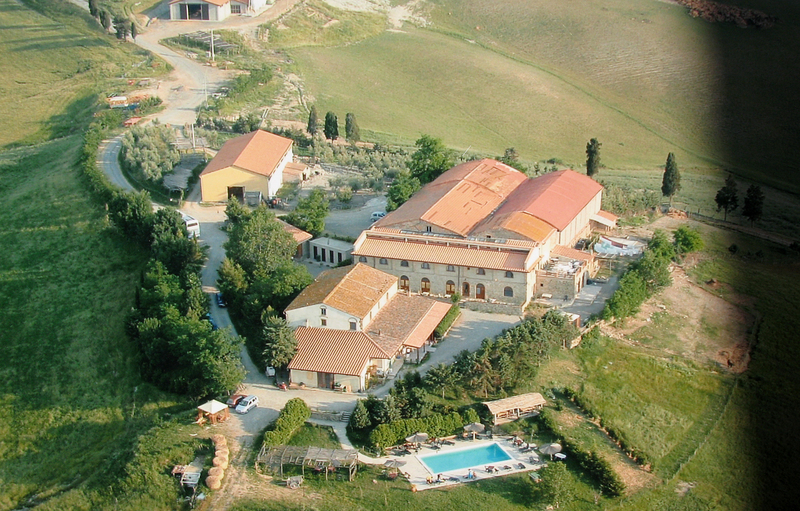 Giovanni Cannas, owner of Sardinian origin of this company, in 1991 began to run the company and immediately understood that, in order to face the challenges of a continuously evolving market, it is necessary to leave the conventional agricultural techniques for obtaining innovatory products, more consistent to the changed ways of life and tastes. So, Cannas turned the whole company chain into organic agriculture. Here his success began and, among the many activities carried out in the company, he reminds the ongoing production of a valuable extra-virgin olive oil as well as organic cheeses at different ripening stages. 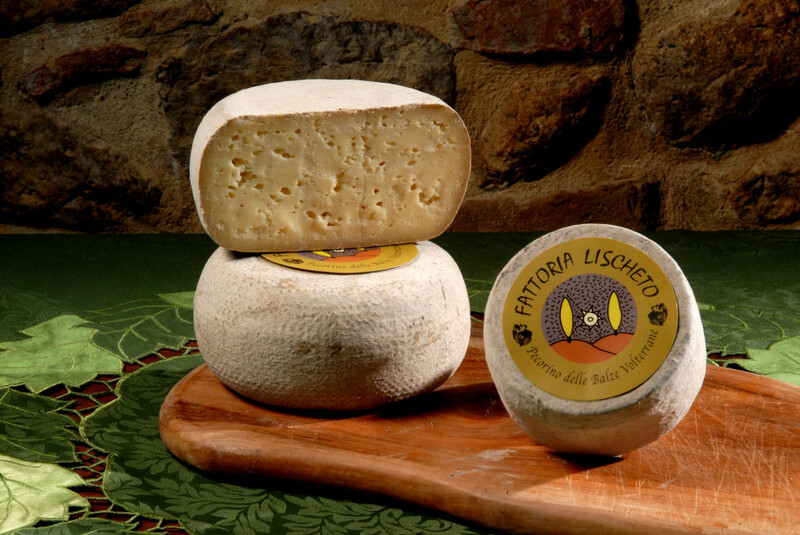 Among all the products exported all over the world by Fattoria Lischeto, high quality organic sheep’s milk cheeses emerge. They have immediately received a good appreciation by the market, receiving some prizes in different circumstances and so succeeding in increasing their production. 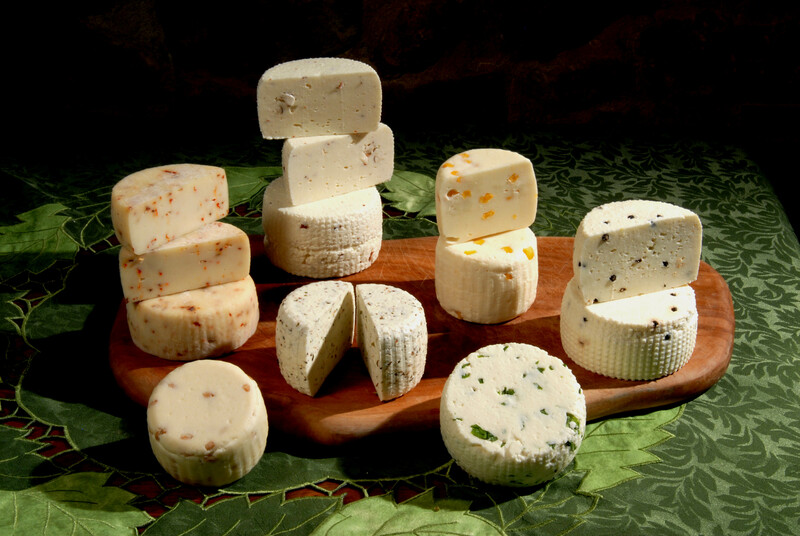 Beginning from 4 types of milk’s sheep cheeses, fresh, mid-ripened, and ripened, the company meets every demand: raw milk, cold paste, spiced, ‘di fossa (a type of sheep cheese produced in Romagna and matured underground)’, and marbled cheeses. The cheeses produced with ‘raw milk’ only, not thermally treated, according to the millenary tradition of sheep-breeding, are noteworthy: it is difficult to work these cheeses, it is rare to have the opportunity of tasting them, but they have an unmistakable flavour, an admirable synthesis of technological rigour and ancient knowledge. Among them the ‘Pecorino delle Balze Volterrane’ cheese is much appreciated on French market, where the demand takes in 60% of yearly production of this company. The ‘Pecorino delle Balze Volterrane’ is an ancient cheese, dating back to the thirteenth century, produced with vegetable rennet and raw, whole sheep’s milk only. About 8.000 litres of raw milk are yearly converted in this cheese, characterized by persisting scents which remind both milk and thistle, with notes of aromatic herbs and flowers. Its flavour is sweet and tasty, its aftertaste is lasting and tends to increase in ripening, acquiring spice tones, and sets a little one’s teeth on edge. Thanks to its ingredients, sheep’s milk and vegetable rennet, this sheep’s milk cheese owns the Halal certification, too, for the Islamic Countries and is exported all over the world by means of contacts with the big distributors as well as direct relations with the final consumers, in simple and minimal vacuum-packed packagings, which remind naturalness of the product. The organic extra-virgin olive oil produced by this company is another excellence, obtained from olives of ‘frantoio’, ‘moraiolo’, and ‘leccino’ varieties. Thanks to the picking, which is carried out in two different lands, and cold pressing, which allows to keep the characteristics of this blend unaltered, the extra-virgin olive oil produced in Fattoria Lischeto appears smooth, balanced, with a definite scent, its colour is deep green and has a fruity flavour, with notes of apple, slightly spicy. It is much digestible and suitable for fried food of character, with a noteworthy aromatic contribution. As it happens for the other ‘Toscani Bio’ extra-virgin olive oils, it is considered a niche product, as its regional production is not high, because of the high certification costs which are involved. About 15,000 litres per year of this renowned oil are produced. In 2009, it ranked eighth in an international list among the 286 oils selected by the best European organic certified companies. It is exported mainly in Taiwan (70% of its production) and the rest is shared among the customers of the company sale point as well as other national and foreign customers (Shanghai and USA). 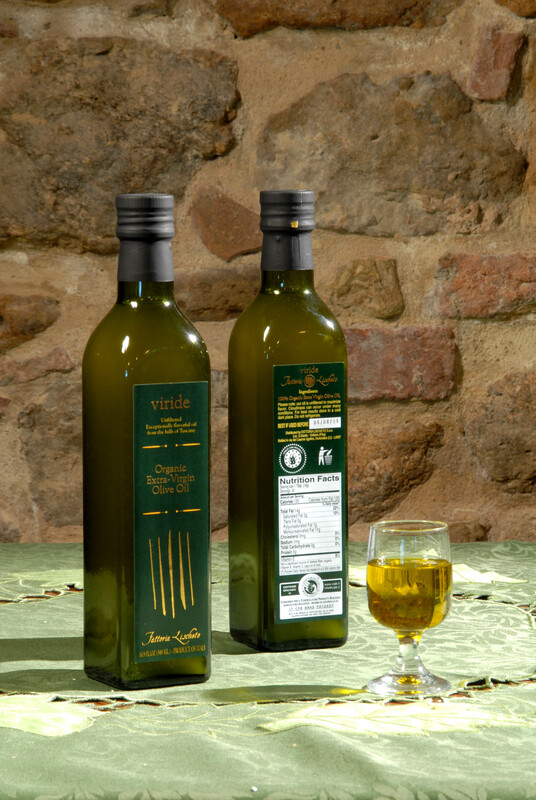 The presentation of its organic extra-virgin olive oil is very important for the company and it has been carefully studied, from the type of bottle to its label, with both colours and gold in relief, up to its final packaging in eco-paper boxes. Giovanni Cannas states: «Thanks to our organic certification, we identified a certain type of customers, who mind both product and quality, and increased in a relevant way the Countries in which today we export our products. We have all sorts of customers, from private consumers to big foreign distributors, as well as shops specialized in the organic sector. However, we are open to new markets and, at present, we are considering export in the Russian market».